Usually in SEO (Search Engine Optimisation ) relation forums, you can see discussions on topics like: If a site is deranked by google, bing, yahoo or any other search engines, how long it will take to up-rank if we apply proper SEO techniques. The answer is it's really not predictable. first, it depends on the site's age and current traffic ( ie, how many visitors comes to your website ).Secondly, for start-up web sites it may take around 2-4 months to see actual results, some times it may get quickly ranked. Thirdly, it also depends on how much effort your competition is exerting on their website. But so long as you don't try to trick Google and other search engines by using "Black Hat Techniques" then it will be much easier to get into top rank positions. Black Hat SEO Techniques aslo known as unethical SEO refers to some unethical SEO practices done on websites to rank pages. Some examples are Automated Content generation, Landing pages ( Doorway Pages), Stuffing Keyword in your pages, Hidden Texts and Links, Annoying Redirects, Paid links, Article spinning etc. 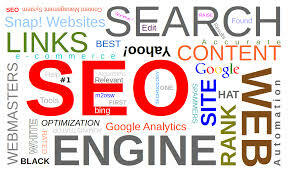 These actions are targeted to attain attention of Search engine spider programs. Black Hat SEOers has no consideration for human audience, they thinks only about the Search Engine Result Pages ( SERP ) and the position of website on it. Most of the Black Hat SEO Techniques contradicts with search Engines Terms of services and hence there is a high chance for your site to get banned or de-ranked by the search engines. If you are looking for a long running business, then never go for Black Hat Techniques. Another main reason for losing page rank is duplicate contents. It is difficult for search engines to identify which version of content is original, if there are multiple pieces of same contents on various website / pages on internet, in such case they choose the version which is likely to be best. Some times there may be same contents in multiple pages of a website, ie one would be printer friendly and other for web view, but when search engine spider crawls the website, it will treat the website as a place which host duplicate contents and the website suffer heavy loss in their rankings and traffic and resuly in less relevant results. By implementing various SEO methods to fix the duplicate contents on your website, you website would be able to retain in top position in few months.